Ovitrelle® is indicated for the treatment of anovulation, or absence of ovulation, the most common cause of infertility in women. 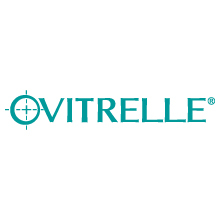 Ovitrelle® is administered to trigger ovulation and luteinization in anovulatory or oligo-ovulatory patients after stimulation of follicular growth. It is also administered in women prior to assisted reproductive techniques such as in vitro fertilization (IVF) to trigger final follicular maturation and luteinization after stimulation of follicular growth.